So in Sheffield we have just had an Open Source Hardware User Group event that brought a few makers, maker business owners, open source enthusiasts and social enterprises together. Now after the event on Open Source Business we all adjourned to the Rutland Arms for a quick one before home. Well that many Makers and Tech nerds in the same building it was bound to happen. Apart from of the shelf fixtures and fittings and available motors etc. the device can be made from no more then a single sheet of A0 (1200mm x 900mm) 3mm acrylic. Must be ready by MakerFaire UK. The greatest number of projectiles hitting against a target in 30 seconds. 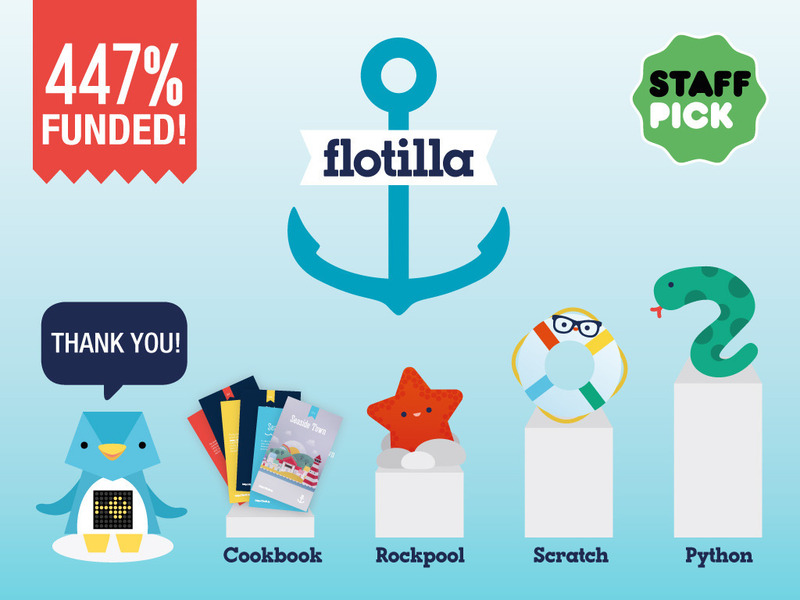 Kickstarter is all a buzz with excitement as Pimoroni launch their new campaign. Flotilla consists of a Dock that different Modules plug into consisting of sensors, controls motors and displays. The Platform is designed to be used by everyone from a young beginner to hardened maker with programming systems from basic suggested 'Cookbook' projects ,a webpage icon based programming interface called 'Rockpool' to well supported Scratch implementations and python Modules. 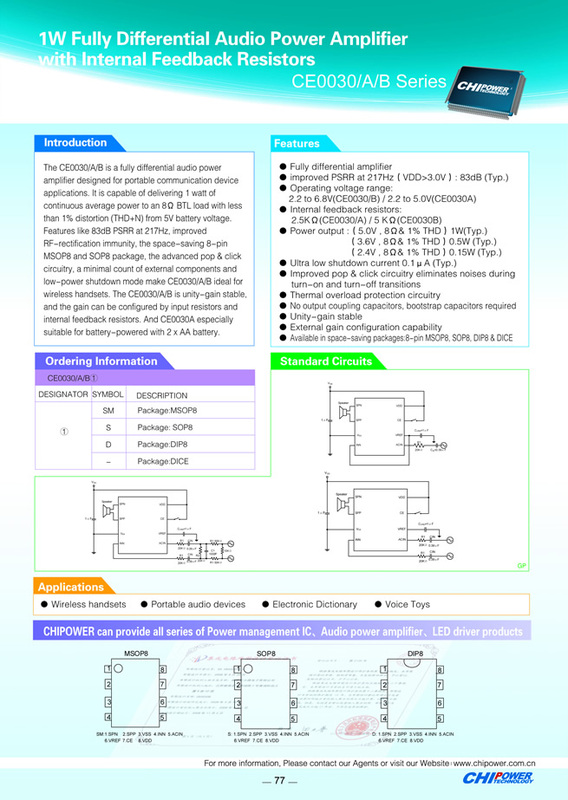 This is a fantastic project that, if executed right will make entry into tinkering with electronics so much easier, removing the need to understand wire protocols and endless debugging, and just getting on with being creative. As of around 9.30am 18/01/15 Flotilla reached its campaign goal of £32,768 it has really raced through hitting its goal in just over 24hrs, and at writing this update was most of the way to £40K. This is an incredible pace and hopefully there will be many stretch goal to keep new backers clocking in, It is made even more incredible because it has only been advertised through twitter and Bloggers like myself Mike Horne and a few others (sorry if I haven't listed you, I can only find this one at the mo ;) ) . At this point Kickstarter prediction engine Kicktraq predicts based on current trend could reach just shy for £600,000 by the end of the campaign. This post is a Kitchen teardown to try and make up for not blogging for the last couple of weeks . 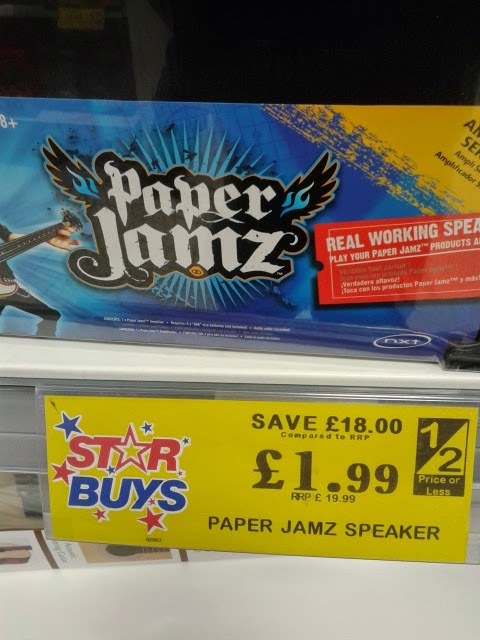 I got hold of a PaperJams Speaker, This was an accessory for the PaperJam Guitars and Drumkits that where popular around the same time as Rockband and Guitar hero. All the products in the range where all constructed in cardboard with all there electronics contained in a plastic housing that gives it some structure. Though I can see where WowWee have made there profit estimated BOM £1.50 not bad for a £20 RRP. 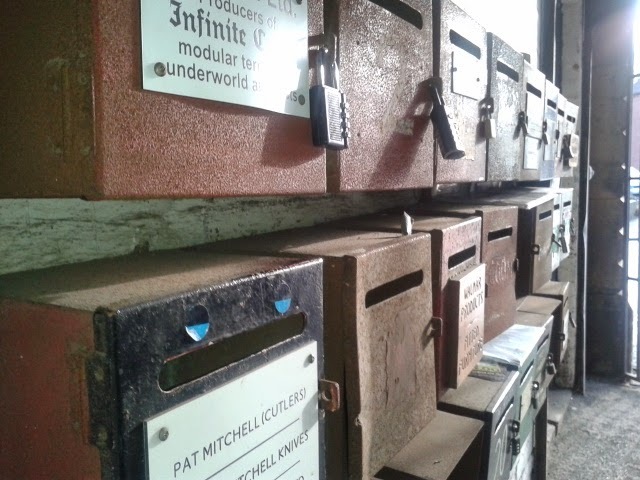 When I was with The Sheffield Hardware Hackers And Makers having a look at a new base of operations at the Portland Works click here to read that post. One of the other business owners is James Wallbank CEO of a Start-up company called Infinite Crypt. 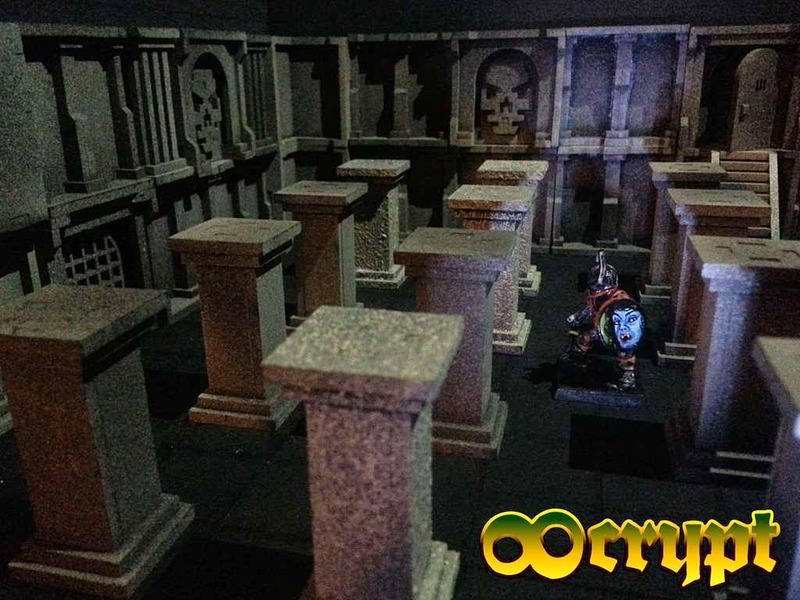 Infinite Crypt is a real Kickstarter success story, designing and making cost effective scale scenery for war games and table-top role play, composed of well thought out elements doorways,walls and even a great big face motif. 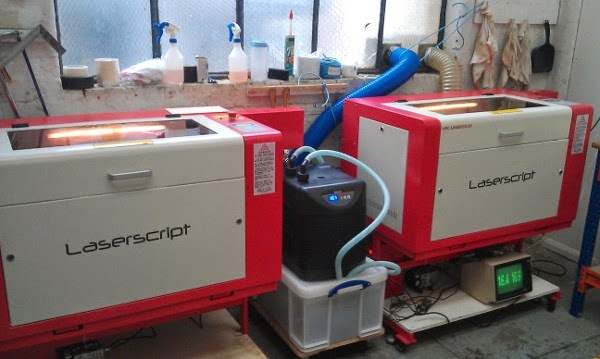 James uses two HPC lasercuters two create the elements in kit from from 3mm MDF sheets. The thing I like is the couple of Hacks he has done to ease the process. 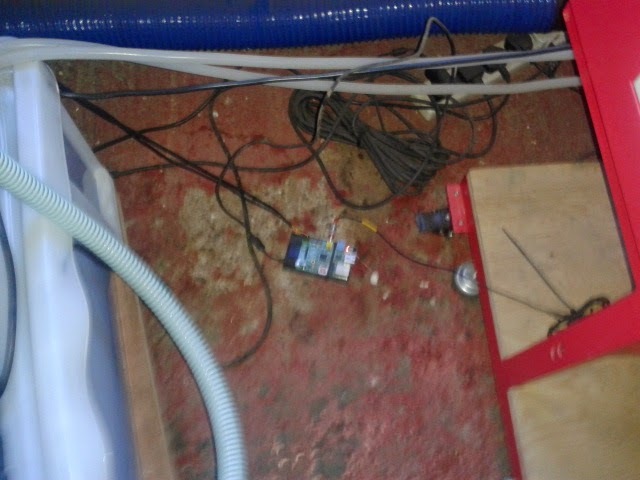 The first thing to not that he uses a single industrial chiller to cool both of the 60 watt CO2 laser tubes buy hacking up a large Really Useful Box for and extra water bath. But my favourite hack is using and old monochrome monitor with a Raspberry Pi to keep track on the temperature of the coolant going into the laser tubes. 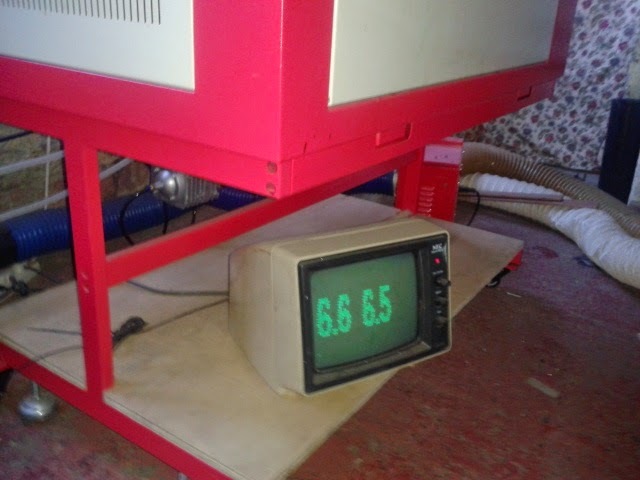 The nice thing about this hack he has taken a little monitor with very poor resolution and used ASCII art to create large numbers that can be easily seen from the other side of his workshop. I realise that this is not Monday or Friday but I just found this and had to share. 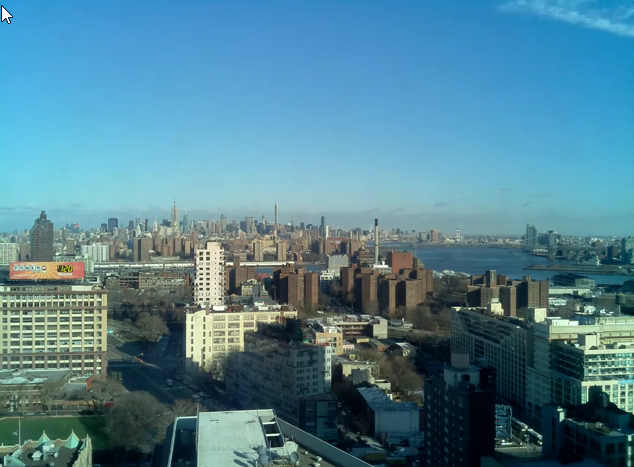 What do you if you happen to live in down town Brooklyn in a 19th story apartment overlooking Manhattan Island and happen to own a Raspberry Pi with Pi camera. Time for a Clouds and city scape timelapse. Since 28th November Cloudvision has been uploading NYC timelapse videos to youtube and then editing together the best bits for his/her (not sure of there name yet) website.